The Freedom Shrine originated from the Freedom Train that toured the nation in 1947 carrying an exhibit of historic documents. 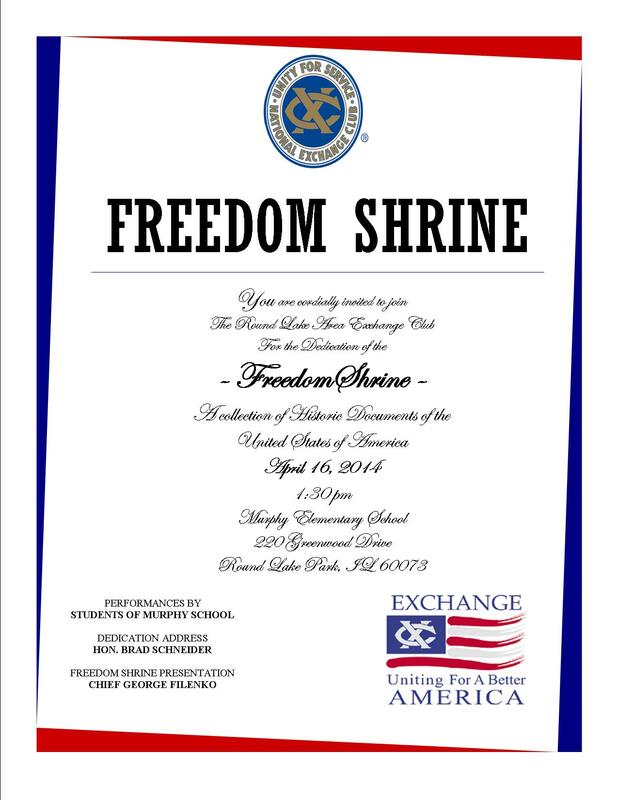 The purpose of the Freedom Shrine is twofold. It puts before young Americans proof that the freedom and greatness we enjoy today were not purchased easily and reminds them that these gifts must be cherished and protected. Painstakingly researched to guarantee absolute authenticity, the 28 historical American documents that comprise the Shrine were carefully chosen to exemplify the beginnings of our nation and those subsequent turning points of importance which shaped our national character and eminence. The documents of the Shrine, although culled from the past, represent foundation stones which permit the present, as we know it, to exist and the future, as we dream it, to be attainable. The Freedom Shrine is a display of 20 historical documents photographically reproduced from the originals and permanently laminated to individual non-warping plaques. It is used by teachers, students, study groups and other clubs to further study American history. 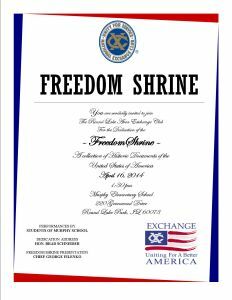 The Round Lake Area Exchange Club has dedicated Freedom Shrine exhibits at public buildings throughout the area: Lake County Courthouse, John T Magee Middle School, Round Lake Middle School, Indian Hill Elementary School, Avon Township Center, Mano a Mano Family Resource Center, Round Lake Park Police Department, and most recently we dedicated a Freedom Shrine at Murphy School in Round Lake Park on April 16, 2014. Students of Murphy School performed patriotic music and Congressman Brad Schneider delivered the Dedication Address, reflecting on the importance of the concepts of freedom expressed in the collection of historic documents. 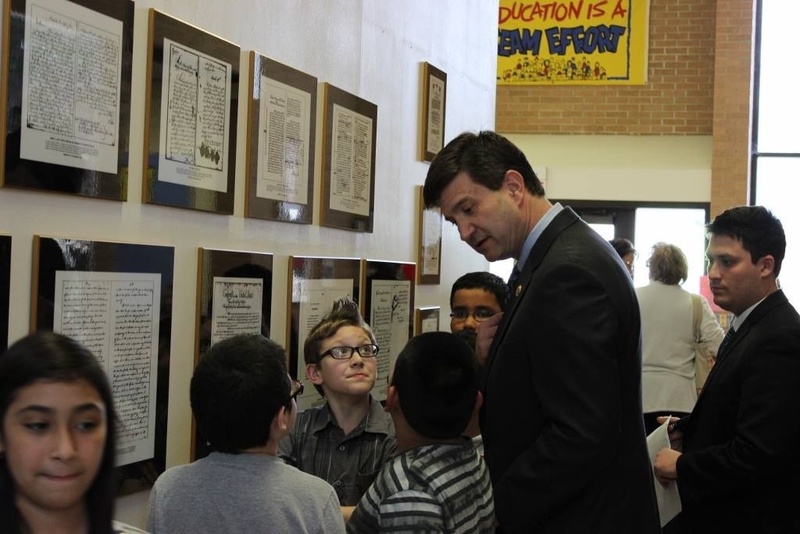 He spent time after the ceremony discussing the concepts of freedom with students and guests.Round Lake Park Police Chief George Filenko presented the Freedom Shrine on behalf of the Club. Our 2015 installation will be at Round Lake Senior High School this spring.